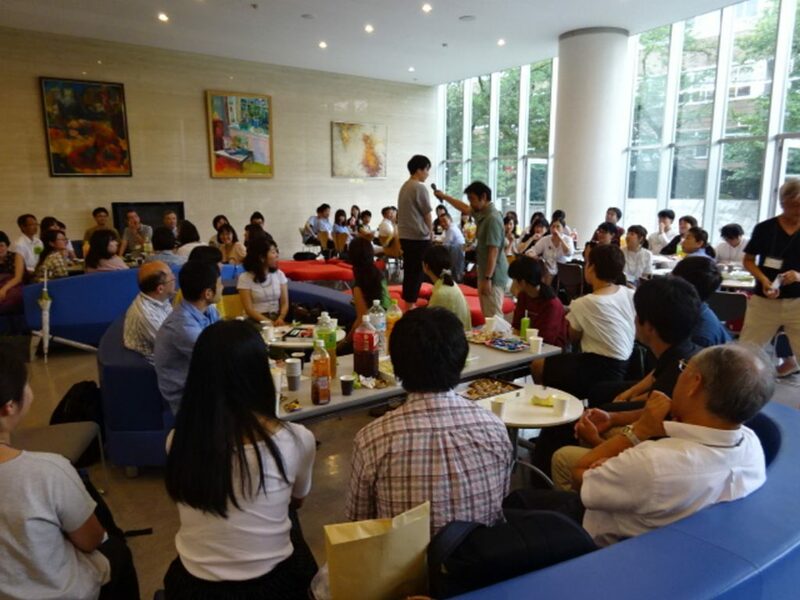 On Tuesday, 7th August, the 13th summer seminar was held, with approximately 100 participants this year too. We would like to extend our gratitude to everyone who came over. 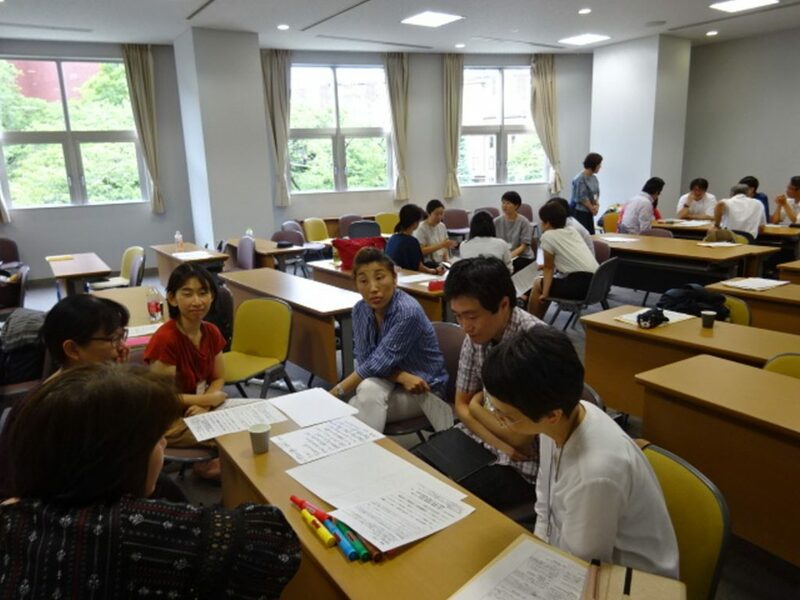 One significant feature of this seminar was the number of people who teach the Japanese language overseas. They came all the way from France, Italy, Switzerland, and Taiwan among others. 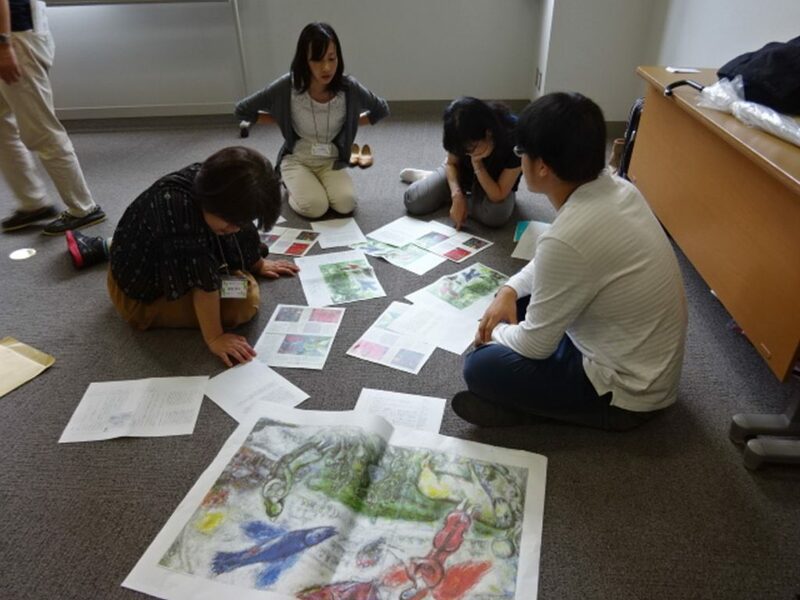 Activities for acquisition-oriented learning seemed to be gaining popularity in Japanese language education. These attendees added an international flavour to the seminar. Each of the morning and afternoon workshops had a totally different taste reflecting the personality of the facilitator. 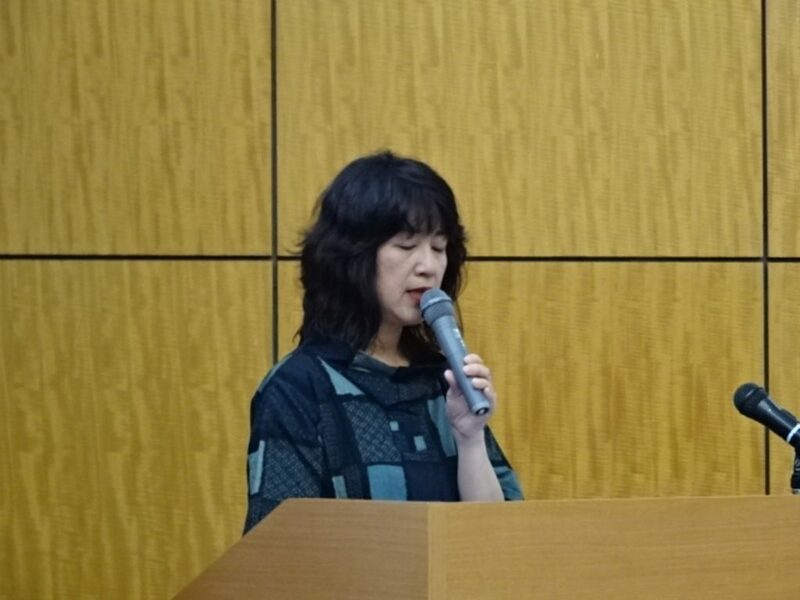 Participants naturally started to speak out, move, and went on to presentations. Those were moments of ‘learning through the whole body’ and ‘collaborative learning’. The seminar came to an end with a closing assembly (tea party). After sharing stories within groups of the morning workshops, the participants were regrouped by the kinds of school. The time to close came so quickly while happy voices were filled the venue. Everyone had a time of laughter and applause. Probably hating to leave, there were groups of people in the lobby talking to each other even after the seminar broke up. I was worried that I might not be able to apply what I’d learn today to my lessons before I came. However, it turned out that things were not so difficult once I gave them a try. I do hope to incorporate what I learned today in my class! (The workshops) were highly practical in that we had an opportunity to learn through the body while receiving explanations where needed. I was inspired by the happy atmosphere and energy of the facilitators and other participants. Thank you for the minute preparation. I find it nice that we had plenty of time to reflect on the workshops. I received new ideas from talks with other participants. We await your participation next year too!! ☆View some video clips of the day! This entry was posted in SAOL Seminars on 07/08/2018 by staff.